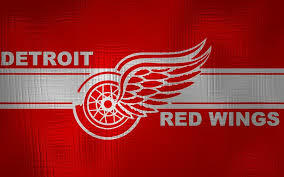 After missing the playoffs for the first time in 26 years and with team captain Henrik Zetterberg set to turn 37 in October, the Red Wings must move in a new direction and have started their new chapter well by beginning to stock the cupboards for the future. Fantasy owners will need Dylan Larkin to build on his rookie season after an offensively disappointing sophomore season where he recorded just 32 points in 80 games last year. Zetterberg, last seasons point leader with 68, will once again be relied upon to be one of the offensive leaders on the team. Detroit has had a relatively quiet summer in terms of their ventures into free agency. On July first the Red Wings signed mobile, veteran defenseman Trevor Daley and depth defenseman Luke Witkowski. Their most significant moves came from within from the resigning of Tomas Tatar on July 21st, young defenseman Xavier Ouellet and goal scoring prospect Martin Frk. Although discussions are still going on, Detroit has yet to resign RFA forward Andreas Athanasiou and RFA defenseman Robbie Russo as they try and work around some salary cap concerns. 1. Ryan Sproul – On July 24th Sproul began skating again after having surgery to repair his ACL but it is unclear whether or not the young defender will be ready for Detroit's season opener on October. He has the potential to earn a full time spot on the Red Wings but will be in tough after the team signed veteran defenseman Trevor Daley and depth defenseman Luke Witkowski not to mention Nick Jensen looking to have claimed a spot on the team. Although there was deficiencies in his game last season, Sproul is a right handed defenseman with offensive upside, something that all teams covet. In order to be sent down to Grand Rapids this season, the Red Wings would have to run the risk of losing the young defender on waivers. 2. Evgeny Svechnikov – Despite an incredibly slow start to the season where he had just 4 points in his first 20 games, Svechnikov was able to have a successful first season in the AHL tallying 51 points in 74 games. He has been praised for how quickly he learns and has arguably the highest offensive upside of any Detroit prospect. His defensive still needs improving. 3. Tyler Bertuzzi – Hard working, versatile forward that likely has the best chance of any of the Detroit forward prospects of making the team. His offensive game is still developing but Bertuzzi has the potential to play on different lines and in different roles at the NHL level. Did I mention that he was the named the 2017 Calder Cup MVP? 4. Jared Coreau – Coreau will enter the season as the number three goalie on the depth chart and will look to challenge Mrazek for the backup position. Mrazek had a disappointing season last year but if he impresses early then Coreau will likely be sent down to Grand Rapids through waivers. He made his NHL debut last season playing in 14 games with Detroit and won the Calder Cup with the Griffins in June. With 25 of the NHL's 30 teams using at least three goalies last season, don't be surprised to see Coreau get into some games with the Red Wings regardless of where he starts. 5. Robbie Russo – Calm, smooth skating defender who made his NHL debut this season playing 19 games with the Red Wings. He has become one of the leaders on the back end for the Griffins and has tallied 71 points in 129 regular season games in his first two seasons in the AHL. The Red Wings still have not signed Russo partially due to salary cap concerns but if/when they do he should be an early call up if injuries occur and will likely challenge for a roster spot in the not so far future. 6. Filip Hronek – The Red Wings second round pick in 2016 had a very successful one and done season in the OHL for the Saginaw Spirit where he compiled 61 points in 59 games played. He then went on to play 10 regular season games with the Griffins, where he had two points and two playoff games where he was pointless. There will most certainly be an adjustment period this season as Hronek adjusts to the AHL full time but he has the offensive tools and creativity to a point producing defender in the NHL in the not so distant future. 7. Michael Rasmussen – The Red Wings first round pick in 2017 signed a three year entry level contract with the team less than a week ago. Last season in Tri City Rasmussen had 32 goals and 55 points in 50 games. He has goal scoring upside, is effective on the down low offensive zone cycle and his attitude has earned him praise from the Detroit organization. Rasmussen still has some developing to do and Detroit likes to bring their prospects along slowly so don't expect him to earn aMichael Rasmussen spot on the Red Wings this season. 8. Dennis Cholowski – A year removed from being drafted in the first round by the Red Wings, Cholowski has already left St. Cloud State University to sign a contract with Detroit. The upside is there and he is bulking up but he should still be considered raw at this point. He can play in the either the AHL or CHL this season. 9. Joe Hicketts – The undersized puck moving defender had a successful first season Grand Rapids by tallying 34 points in 73 games during the regular season and another eight points in 19 playoff games. Despite his lack of stature, Hicketts plays a fearless style and isn't afraid to engage physically. He will need to fine tune his defensive game as well as continue to get stronger before realistically challenging for a spot on the Red Wings. It's unlikely that Hicketts will see time with Detroit this season unless injuries build up. 10. Vili Saarijarvi – After requesting a trade from the Flint Firebirds, Saarijarvi had a strong season for the Mississauga Steelheads where he compiled 11 goals and 31 points in 34 regular season games as well as five goals and 15 points in 20 playoff games. His offensive upside and skill are high but he will need time in Grand Rapids to shore up some defensive deficiencies as well get stronger. Don't expect him to play much if any game with the Red Wings this season. Tyler Bertuzzi – Having made his NHL debut this season where he played seven games with Detroit and then later being named the Calder Cup MVP in June, expectations for Bertuzzi are at an all-time high. He plays a mature style and will be given every opportunity to earn a spot full time with the Red Wings this season. Filip Hronek – No one could have asked the young Czech defender to have a better first season in the OHL. His composure with the puck as well as his offensive creativity, especially on the power play, definitely has the Red Wings organization and their fans excited. His game will need time to mature but if his offensive abilities translate to the pro level then Hronek could see time with the big club sooner rather than later. Vili Saarijarvi – After an impressive season in the OHL last year, Saarijarvi will be looking to assert himself as a reliable offensive threat from the backend at the pro level. While In the AHL Saarijarvi will need to shore up some deficiencies as well as get physically stronger but he should see plenty of offensive zone starts as well as get a lot of time on the power play. Dennis Cholowski – This might seem like an odd choice but it's not a knock on Cholowski's potential. His upside is high but he is still a bit raw at this point. He opted to sign with the Red Wings and leave University after one good, not great season at St. Cloud State. His options for this season are the NHL, AHL or the WHL for the Prince George Cougars. Despite leaving University early, Cholowski may not be ready to make a reliable contribution at the pro level and with Filip Hronek and Vili Saarijarvi most likely playing for the Griffins this season, the WHL seems like the most realistic path. Playing a big amount of minutes and possibly dominating with the Cougars plus potentially playing for Canada at the World Junior Championship in December could very likely be the best option for Cholowski for this season. Axel Holmstrom – The potential is there for Holmstrom to be top six player for the Griffins this season and a bottom six role player for the Red Wings in the future but he will need to stay healthy to do so. Last season he was hampered by two knee injuries and had by far his worst offensive production of his three years in the SHL tallying just two points in 16 regular season games. On a more positive note, Holmstrom had seven points in seven SHL playoff games and then later came over to North America where he played 11 games (seven regular season, four playoff) for the Grand Rapids Griffins.